Cloud computing dissertation topics are in abundance out there. You look around yourself and you will find that there is the application of cloud computing in even smallest of things in the 21st century. But that doesn’t make dissertation writing any fun, does it? 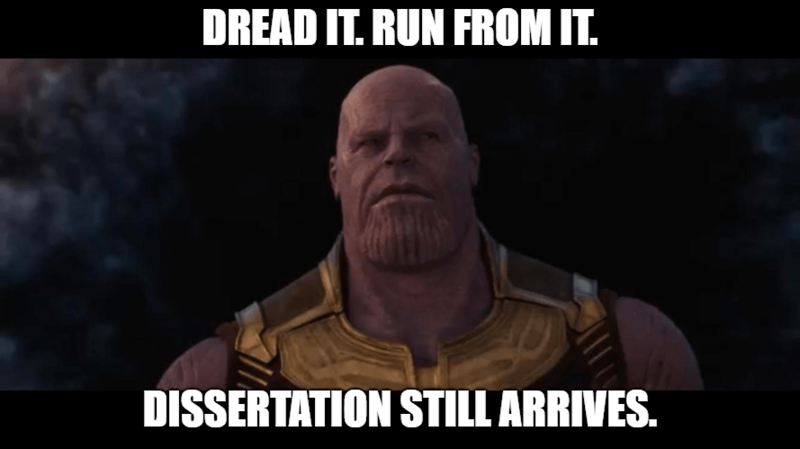 We all might dread it, run from it or despise it, but writing a dissertation is an inevitable task. Cloud computing dissertation example is also not much help. But We Can Make This Task A Little Easy For You. 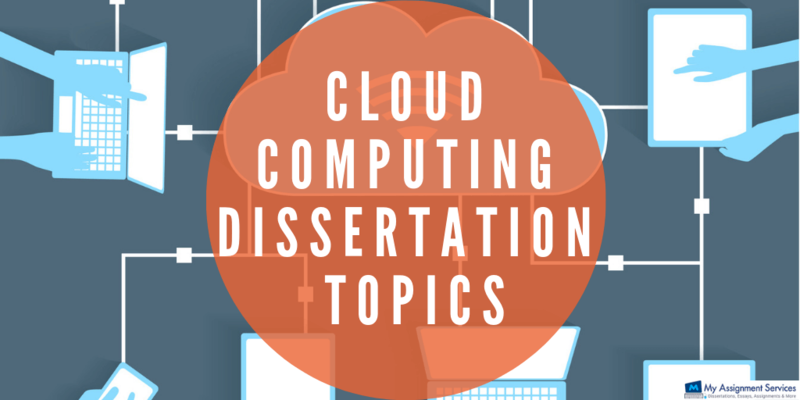 Here We Have Listed Some Best Cloud Computing Dissertation Topics. How does hijacking of control and management plane sessions in Software Defined Networking affect an organisation? The impact of a coordinated attack by a network of various attackers vs attack by a single attacker. What will be the advantage of installing sensor scripts for enumerating and manipulating access control lists in Software Defined Networking? What is the need for applicable regulations and compliance for cloud user and cloud service provider organisations? The 5 principles of data security – confidentiality, integrity, availability, reliability and privacy – and analysing them in cloud computing. Is it better to store data on multi-cloud platforms? Are synchronised data backups on multiple clouds safe? Integration of RFID and Internet of Things with cloud computing, how is their security compromised? How can we use cloud based intelligence to detect any emergency situation proactively? An analysis of cloud computing standards. How Bayesian inspection and signature-based intrusion detection at Internet Exchange Points (IXPs) works? How can we detect and prevent forgeries through XSS mutations and XSSR? What model based security can be used for cloud dispatchers and service allocators? What auditing, monitoring and assurance measure for security controls can be used for cloud computing? How are IDS, firewall, spam filtering, malware filtering, web services filtering and IPS ensured on cloud platforms? Where do cloud service providers lack in risk management and assessing threats? How can cyber terrorists attack your system using cloud computing? How to protect yourself from cyber attacks through cloud computing? What are the threats and vulnerabilities of the internet of things? How can data be encrypted in cloud computing and protected? Is the management of security resources possible on cloud computing platforms? How is the survival and resilience of sensitive data ensured in virtual data centres? An analysis of Cloud Control Matrix developed by Cloud Security Alliance. How can we protect our smart home networks? What systems security has to be implemented in cloud computing? Why are internal personnel required in cloud computing and what are their roles and responsibilities? Do operations of an organisation become smooth by shifting them to cloud computing platforms? Do we need a central agency to certify and grant a license to cloud service providers? Advantages of using hybrid security for the combination of physical and virtual assets in cloud computing. After so much technical, we believe you are even going to dream about these cloud computing dissertation topics tonight. Whenever you look for topics and think that this example is the one you have been waiting for, remember a few things before hopping into the joy train. Check that the example is not too old. The problem with cloud computing dissertation topics is that it keeps on updating. You cannot use a topic which was trending even 1 month before. The world is changing fast and so is cloud computing. Stay updated. See that Cloud Computing Dissertation Example is Available on a Respectable Website. You could choose any topic that you like from an example that you read on the internet. But you should keep in mind that only use those sources for reference which have been published by a respectable publisher. The cloud computing dissertation topics hold an authority and value when you choose them from such websites. Don’t hesitate, you and we are friends. You can ask us for any clarification. My Assignment Services UK takes care of its students, whether it choosing best cloud computing dissertation topics or writing the best cloud computing dissertation. Place an order now.